iPad Insight is currently featured in the Tech & Science section of Flipboard, and of course I’m very pleased about it. 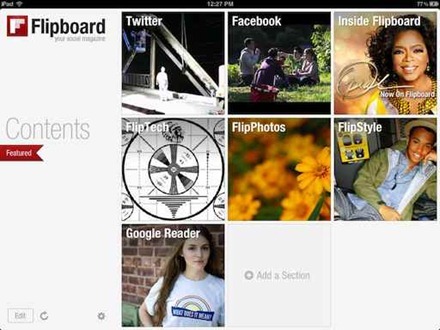 Fliboard is the flagship iPad magazine and one of the very best and most popular iPad apps. 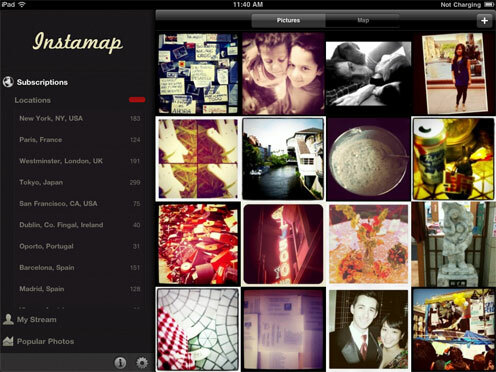 It was Apple’s iPad App of the Year in 2010. And it provides great content to its readers of course. 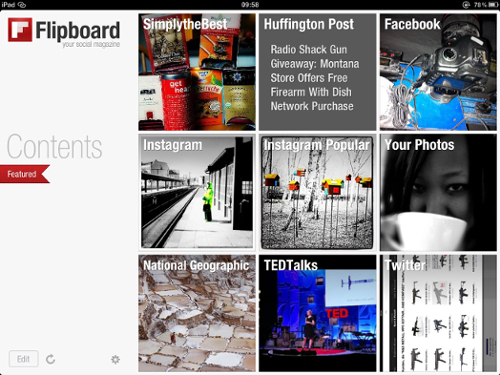 I know that many of you have mentioned that you follow this site in Flipboard. Well, now that’s a whole lot easier to do, and hopefully a whole lot easier for some new readers to discover the site as well. You can find the site listed if you tap on the ‘More’ ribbon at the top right of Flipboard’s screen and then select Tech & Science on the sections list on the left-hand side. You’ll also find it under Recommended if you do a search for the term ‘iPad’. 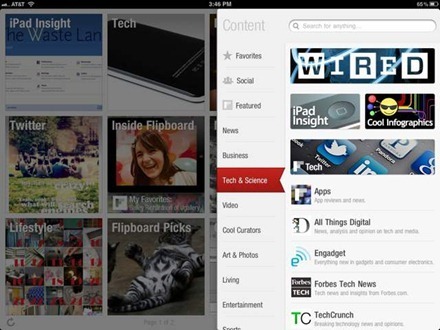 My thanks to Flipboard for including iPad Insight. 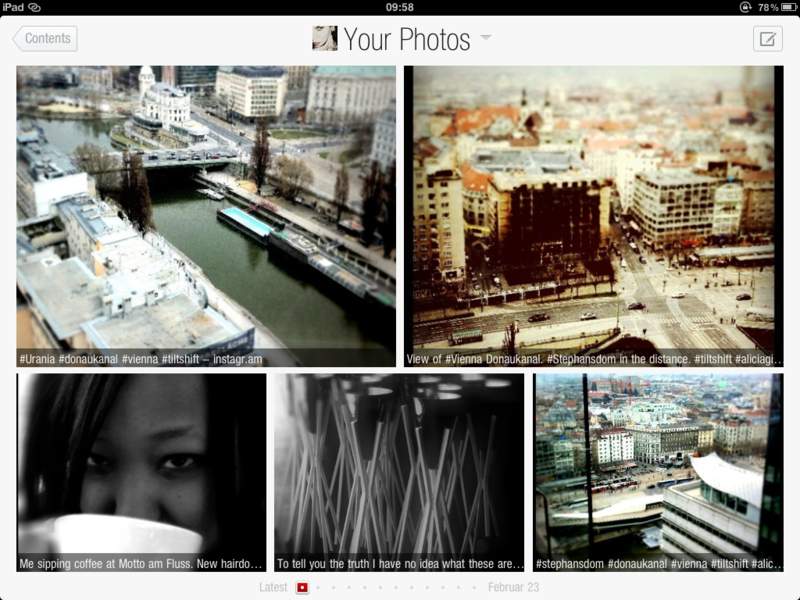 Flipboard – one of the true flagship iPad apps – has had another update last night, to Version 1.5.1. One of the headline new features is support for Linked In, the popular ‘professional’ social network. 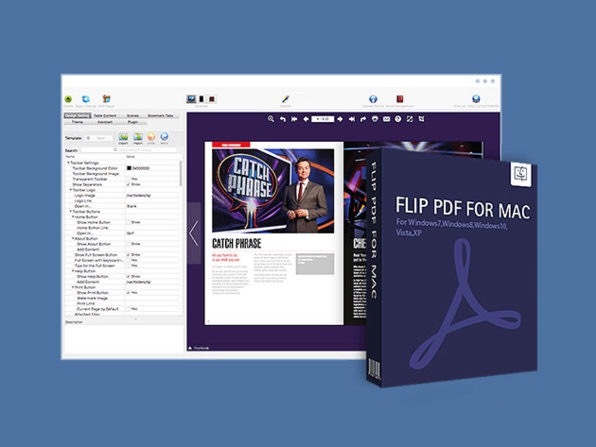 The update is also packed with some very nice new features to make finding and adding new content to suit your tastes even easier. ★ Speed. 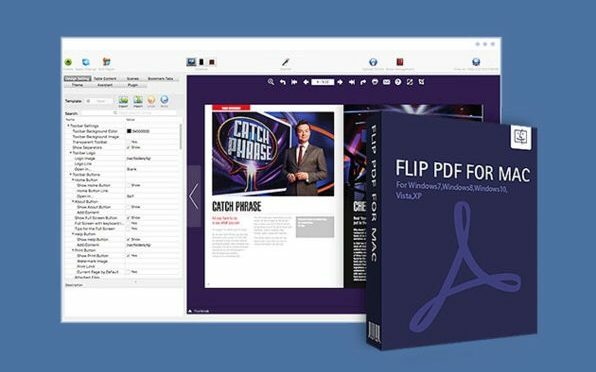 Flipping is faster and diving into stories is more streamlined. A single tap gets you to the article, social interactions are now at the bottom of the page, and now you can flip from one story to the next to keep reading between articles, photos, and updates from friends. You can still close any article with a pinch-out, double-tap, tap on Close button, or two-finger tap. I updated the app last night and the new features are already working well for me. 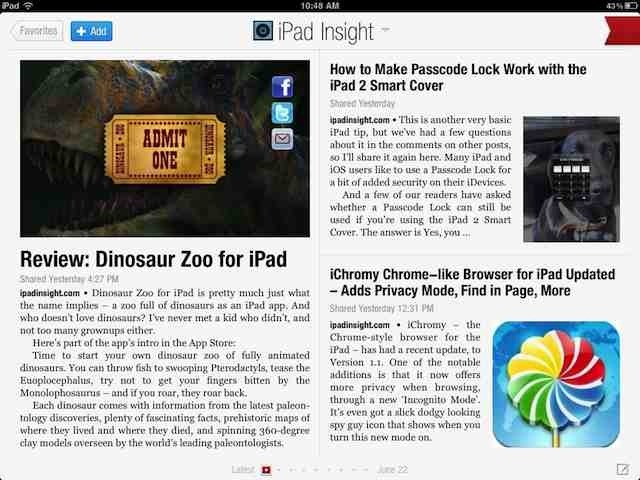 I added a little place called iPad Insight to my Favorites on Page 1 of course. Flipboard has been the standard for iPad magazines for some time now – it’s great to see it continue to improve and enhance its features. 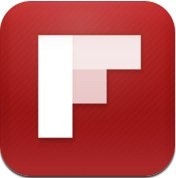 Here’s an App Store link for Flipboard; it’s still a free app. 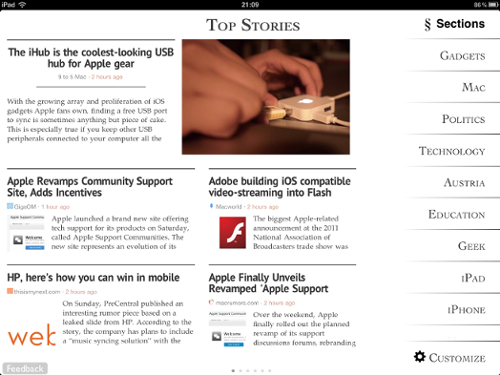 Here’s another indicator of how much potential publishing on the iPad has. The latest new high-level recruit at Flipboard, the superb and immensely popular iPad news magazine, is leaving Time Inc., the US’s largest publisher, to join them. Josh Quittner, a 15 year veteran at Time, will be joining Flipboard this summer as their new editorial director. Quittner covered the emerging internet for Time back in the mid 1990s, moved on to their (no longer active) Business 2.0 title, and then to Fortune and has most recently been involved in digital editorial development for Time’s news, sports, and business titles. The Daily, the first iPad-only newspaper, has a staff of over 100 and many of them also come from a background with leading print titles. It’s fascinating to see how ‘old media’ is now embracing and even crossing over to new media and to iPad / tablet publishing ventures in particular. 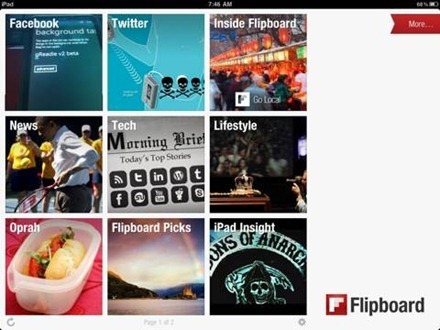 Flipboard, the superb, award winning social news app for the iPad, has seen its usage and its number of users growing tremendously over the last couple of months – with usage roughly tripling and number of users doubling. 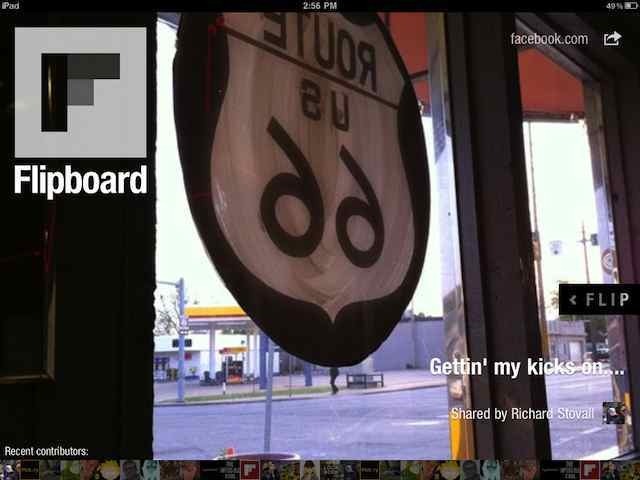 All Things Digital spoke to Flipboard’s CEO recently and learned that the app is now getting nine million ‘flips’ per day – flips being the gesture used for page turns in Flipboard so this should roughly equate to page views. 9 million a day for a mobile app ain’t too shabby – and that’s up from 3 to 4 million just a couple months ago. The app’s number of users has also doubled in the same time frame, though the specific number of users (now or before) was not given. The launch of the iPad 2 would seem to be one of the major factors in this growth surge for the app – along with the fact that Flipboard is a flagship iPad app, listed by just about everyone as one of or the best iPad app to come out so far. 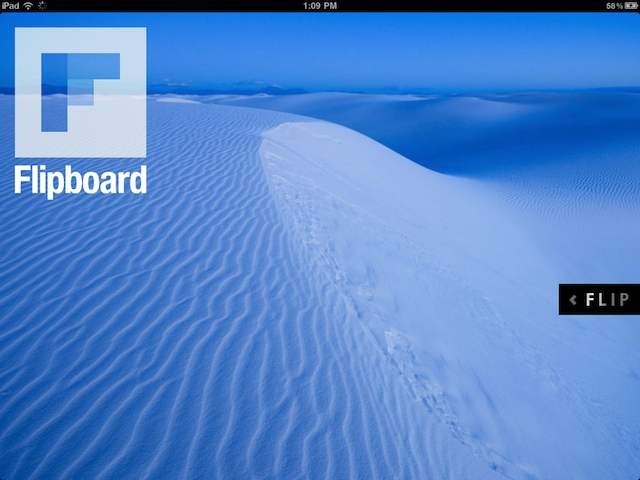 I’m definitely a member of the Flipboard fan club – it’s been a fixture on my first home screen on the iPad ever since I first installed it. If you haven’t had a chance to give this great app a look yet, here’s an App Store link for Flipboard; it’s free and it’s every bit as great as all the hype and praise for it suggest. Quick Shout-Out: When I went to grab the screenshot used at the top of the post I was happy to see that the front page cover image is from Richard Stovall, my line partner at many recent major Apple launches, including the original iPad line.